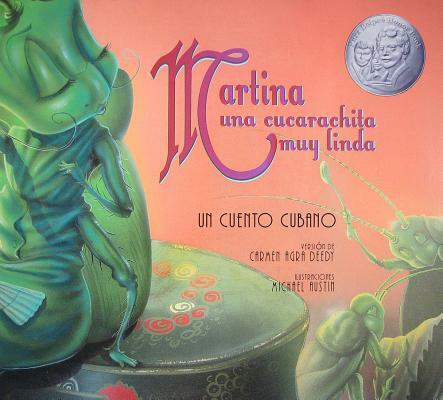 According to her book jacket bio, Carmen was born in Havana, Cuba. She came to the United States as a refugee and like most immigrants sees the world from multiple perspectives. 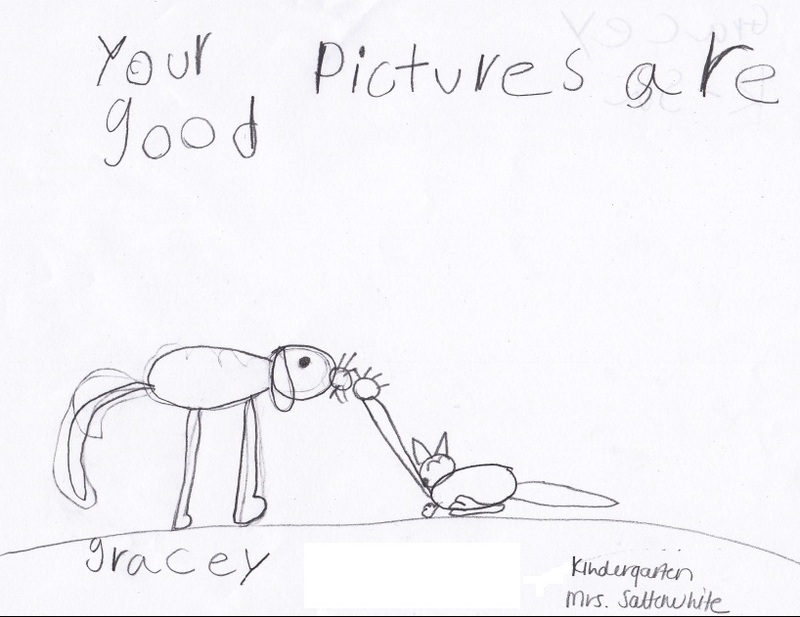 Deedy has performed in many prestigious venues, but children are her favorite audience. This is evident in the wide age range of audiences targeted by her two books below: a primary grade picture book, and an upper elementary Dickens-like tale. You read that right…beautiful cockroach! This story encourages great conversation about what makes a good companion, as Martina searches for a husband. You’ll be shocked and enlightened as you read about her abuela’s (grandmother’s) wise advice on how to test someone’s character. You can certainly read this book with no knowledge of Dickens and still enjoy the rich language, tongue and cheek humor, and memorable characters. The plot is lively and intriguing. Each character’s distinct voice provides a wonderful depth to a book that, at first glance, might seem like just a cute talking-animal tale. 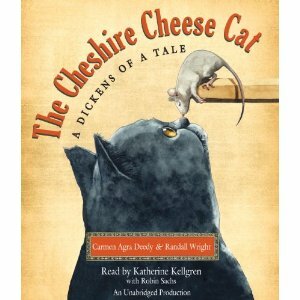 My favorite scene (at least that I can reveal without spoiling the plot) occurs in Chapter 6 during a fascinating encounter between a cat and mouse. After capturing the mouse, the main character Skilley spits him out onto the stone floor. 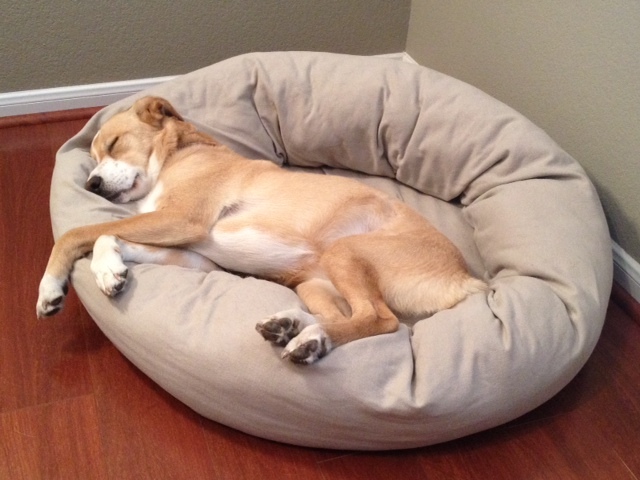 It may not officially be summer (that’s June 20th this year), but here in Texas my dogs say “It might as well be.” Sleeping after a nice, but hot, walk at midday, these two will hibernate until the next highlight of their day: dinner time. Bear wakes up at the sound of the camera click. 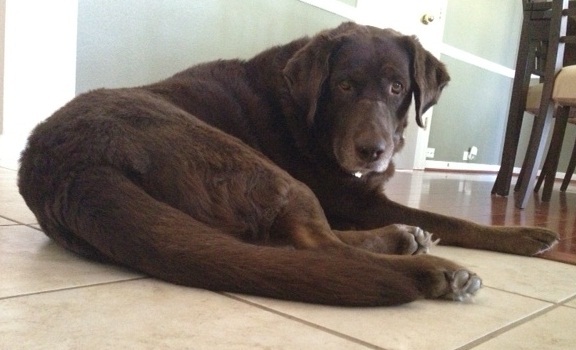 He prefers the cool tile after a warm walk. After all, look at that fur coat! Jordan heard the camera, but ignored me…until Daddy walked into the room. Then she stirred. He is, after all, her favorite person. 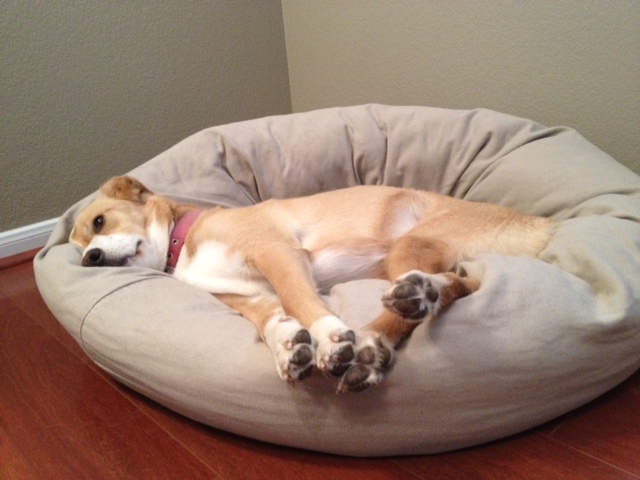 I don’t know what it is, but when I see her lying like this–all four legs in a triangle, I just want to grab those legs and hog-tie her! Don’t get me wrong…I’m not a farmer, and I don’t even know how to do a hog-tie, but something about it cracks me up! But her mommy and daddy love her very much and would, of course, never do any such thing. As a former teacher, and a child at heart, I love children’s books and especially appreciate the rich medium they provide for learning. So I came up with a great excuse to continue reading these books, even though I’m no longer teaching and I don’t have any children of my own: you, my audience. Whether you’re a parent, a teacher, or a child at heart like me, this is good news for you. I will use my educational background to provide book reviews, comprehension questions, and free mini-lessons–all using great children’s literature found in your local library or bookstore. 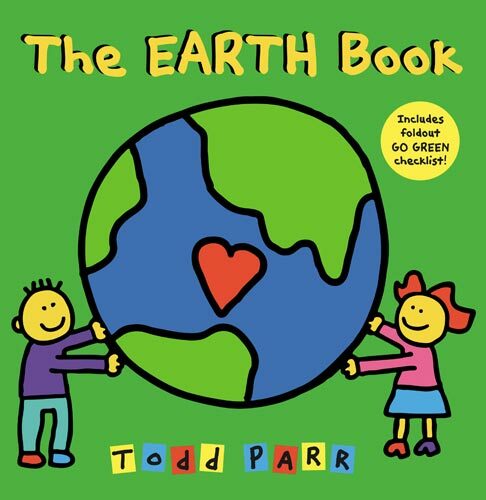 Since Earth Day is coming up this Sunday, April 22, I chose books this week that will provide you and your children information, entertainment, and crafts. This first book is the Science book you wish you had in school. I found this book at the library, an effort to provide parents and teachers on a budget (is there any other kind of teacher?) with some free resources. But honestly, after reviewing this book, I might just go by it for myself, and I don’t even have kids. It’s that good. So much for the money-saving plan. Don’t let the words “A Child’s Introduction” fool you. The co-author, Professor Dennis Driscoll, is an emeritus professor of meteorology at Texas A&M University, specializing in biometeorology. If you’re like me, you just had to use the dictionary to even understand this guy’s title. He teamed up with his son, Michael Driscoll, who also wrote A Child’s Introduction to Poetry and A Child’s Introduction to the Night Sky. Now to why I LOVE this book. This book is jam-packed with facts ranging from states of matter to fossil fuels. It’s as informative as those old encyclopedias we used to have as kids. But the good news is it strikes the perfect balance between facts and humor, learning and entertainment. 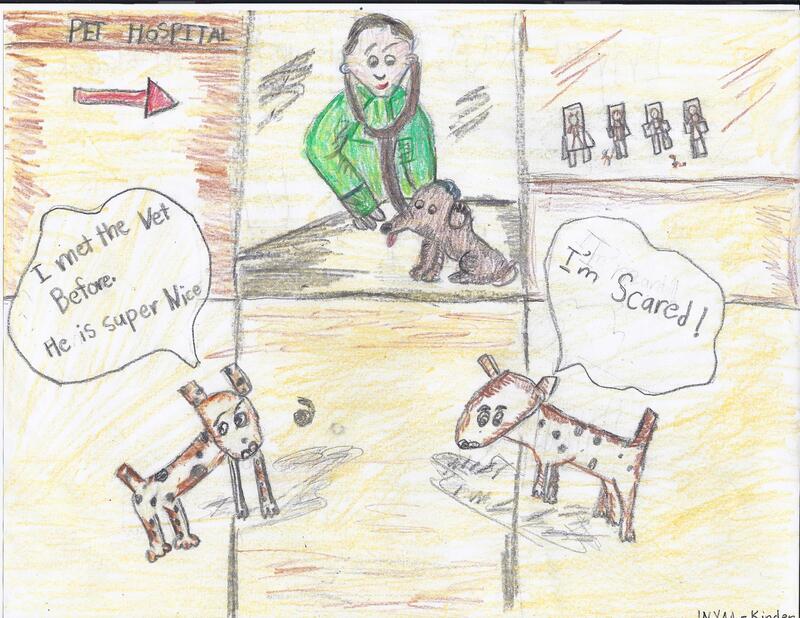 And above all, the authors take very complex scientific ideas and put them into an easy-to-understand explanation using text, lively illustrations, comic strips, and diagrams that aid learning and keep a child’s attention. 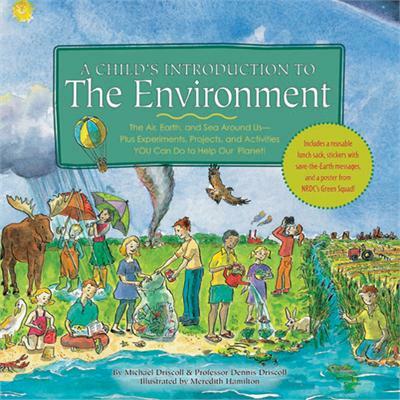 Without dumbing down these concepts, the authors take an idea that a child can relate to (your garbage man collects your trash bin once a week) and explains the process step-by-step of how it gets to the landfill. This would be a great buy for any parent or teacher because it spans an entire year’s curriculum. A lot of these ideas are introduced as early as kindergarten and then spiraled through elementary school and built upon, explained in more depth and complexity each year. The experiments include things I did with my second grade classes as well as things I saw the fifth grade teachers doing. This nonfiction book comes with a poster, reusable lunch sack, and stickers. It includes a table of contents, glossary, index, fun statistics, experiments, colorful illustrations, comic strips, and diagrams. This second book is for a younger audience, but does a stellar job of illustrating some big ideas in a way tangible to a little person. I also found this at the library. This book states its purpose on page 1: I take care of the earth because I know I can do little things every day to make a big difference. In my opinion, mission accomplished. It then gives 12 very easy things that little kids can do at home. The rhythm and pattern make it easy to understand and enjoyable. Pattern: I _____ and ____ because I _____. Example: I use both sides of paper and take my own bags to market because I love the trees and want owls to have a place to live. After reading it a second time it struck me how successfully it highlights complex science topics without going into details that would lose its young audience. By giving concrete examples for children and simple reasons to help the earth it reinforces concepts like water conservation, air pollution, farming, global warming, energy conservation, litter, recycling, and landfills. With your toddler or kindergartner, this book would be educational and entertaining. First and second graders could take each pattern and discuss the science lesson being inferred and how that action helps the earth. 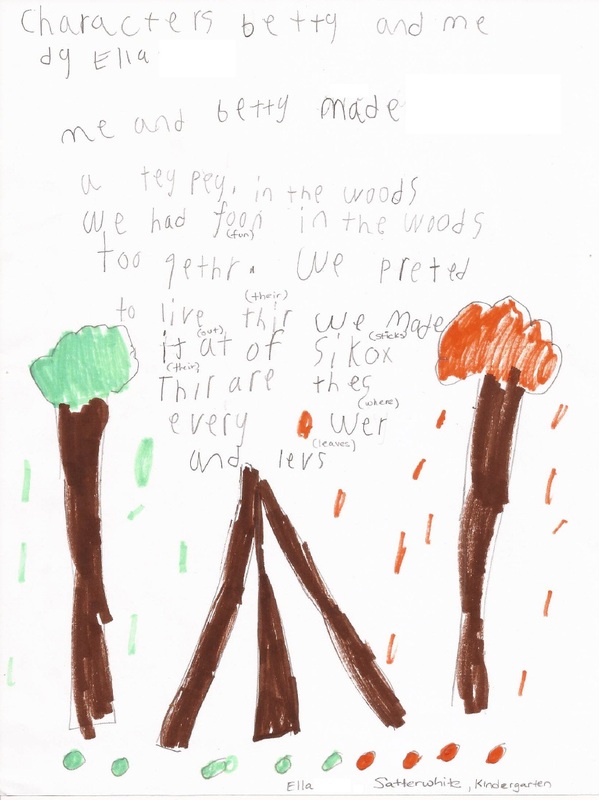 With colorful and simple illustrations, a young child can easily learn things they can do to take care of the earth. Now that our kids have all this great knowledge about the Earth, let’s have fun and make a mess in honor of Earth day. I searched for craft books that had supplies the average person would have on hand, as well as ideas that would be easy, fun, and actually useful. I found 3 books at the library that fit the bill and quite accidentally, they are all by the same author. What can I say? She’s doing something right. Maybe her 30 years’ experience as a nursery teacher and director have something to do with that. She goes by the name Queen of Crafts. The crafts in this book would be enjoyable for grades K-3. They would need to be done with the help of an adult. This book has 21 projects in it. With the exception of Tiny Toy Bookmark, Changing Faces Necklace, and Box Board Links, I loved all of these crafts and can’t wait to try them. My favorites were Marker Caps Pencil holder for all those dried out markers, Puzzle Piece Alligator for the puzzles you can’t use because of a missing piece, and Game Board Art folder for those games you were going to throw out due to missing pieces. There are only two required items that you probably won’t have on–hand: a 3 inch round metal slogan pin, an old slinky, and a wooden or plastic paddle from a paddle ball game. The beauty of her books is the easy access to common household items for supplies. And by reusing items you would normally throw away, you are teaching your child a valuable, but easy way to help the environment. The crafts in this book would be enjoyable for grades K-3. They would also need to be done with the help of an adult. This one also has 21 crafts and then some suggestions for handy items to keep in your very own craft box. My favorites in this book were the Candle Stub Pincushion, Used Dryer Sheets Flower Sachet, Playing Cards Photo Frame, Pencil Trivet, and Puzzle Piece Turtle Ring. 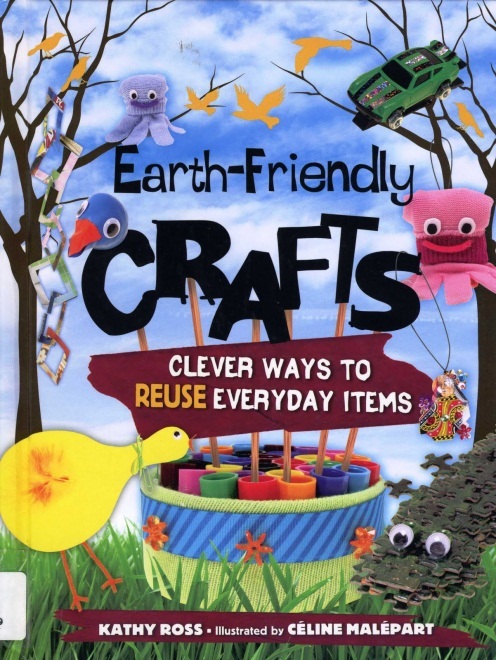 The crafts in this book would be enjoyable for pre-school through 2nd grade. They would need to be done with the help of an adult. They would also be ideal for Sunday school, children’s ministry, Christian pre-school or pre-K programs. 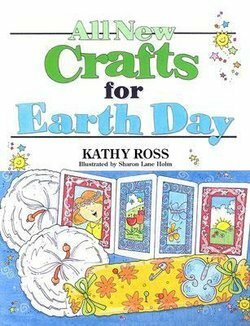 I was drawn to this book because its purpose is to actually celebrate God’s creation which to me seemed like a great way to celebrate Earth Day. While these crafts are adorable, they are not meant to be useful other than as art to decorate your home or toys for your child. 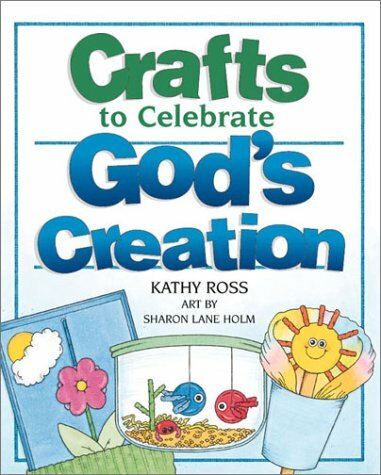 These will be a blast for your family to make and symbolic of the Genesis 1 creation story. If you get a chance to complete any of the crafts, I’d love to hear your honest feedback about how it went. I want to provide helpful resources, so your thoughts are valued.